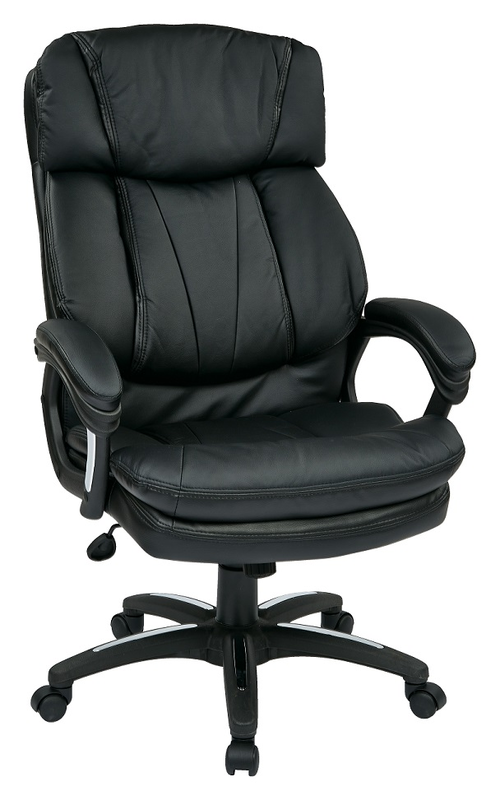 Oversized Faux Leather Executive Chair with Padded Loop Arms. Faux Leather Seat and Back with Built-in Lumber Support. Weight:. . . . . . . . . . . . . . . . . . . . . . . . . . . . 42 lbs. UPS Weight:. . . . . . . . . . . . . . . . . . . . . . . . . 68 lbs.